SICK Joint! GRIP Boyz in the building, so you already know it’s good music. S/O to DJ Jimmy Jatt for putting out this dope cut tagged “Victory Song” featuring Ice Prince, Yung L, Endia and J,Milla. 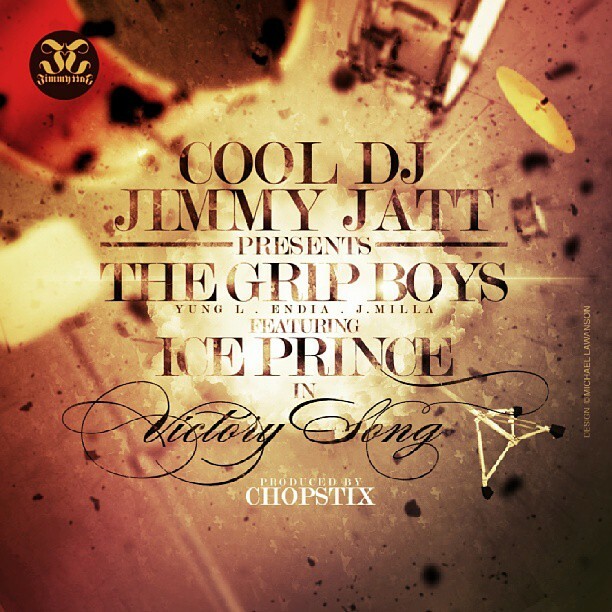 “World renowned Cool DJ Jimmy Jatt shows that he knows no other way except winning as he teams up with GRIP Boiz (Yung L , Endia and J. Milla)for his brand new single titled “Victory Song”.